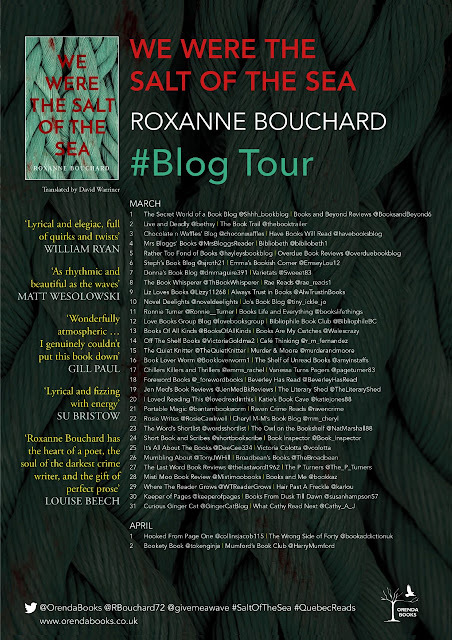 It's my pleasure to be today's BLOG TOUR stop for We Were the Salt of the Sea! Thank you so much to Orenda Books for this copy. 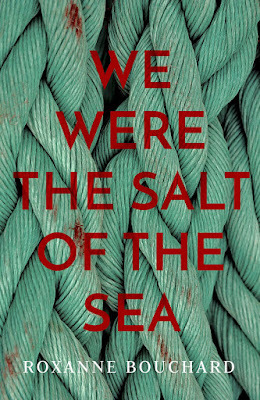 As Montrealer Catherine Day sets foot in a remote fishing village and starts asking around about her birth mother, the body of a woman dredges up in a fisherman's nets. Not just any woman, though: Marie Garant, an elusive, nomadic sailor and unbridled beauty who once tied many a man's heart in knots. Detective Sergeant Joaquin Morales, newly drafted to the area from the suburbs of Montreal, barely has time to unpack his suitcase before he's thrown into the deep end of the investigation. On Quebec's outlying Gaspé Peninsula, the truth can be slippery, especially down on the fishermen's wharves. Interviews drift into idle chit-chat, evidence floats off with the tide and the truth lingers in murky waters. It's enough to make DS Morales reach straight for a large whisky. 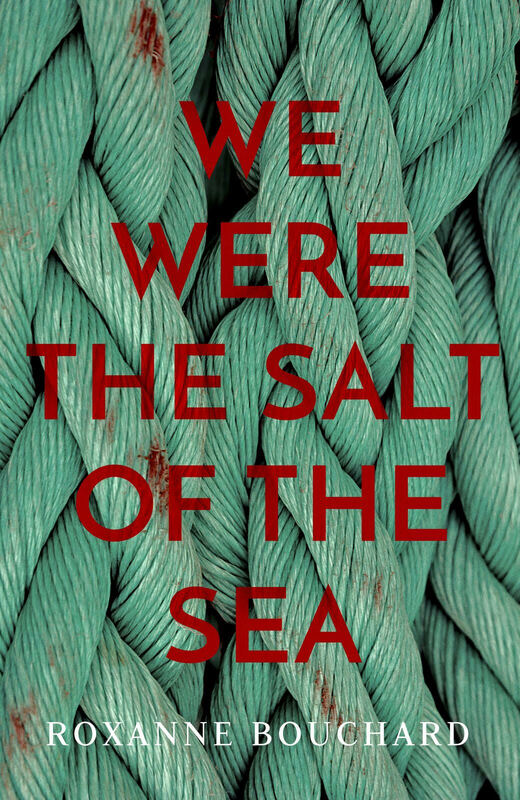 Secrets, lies, death, small town and the sea - what more could you ask for?! Lyrical, beautifully descriptive and enthralling characters set in a beautiful background. Add a dash of murder mystery and this is a recipe for success! Let's face it, readers. Orenda Books knows how to choose them. I'm always a 50/50 when it comes to translated works but lately they have just been hitting their mark. As someone who has family in a small town but rarely gets back to it, I understand what it feels like to be a bit of a stranger in a town where everyone already knows each other and are their own family in their own right. Catherine is a fantastic character and I found it quite amusing how everyone wants to set her up immediately upon her arrival. 😅 Enter a body being found in a fishing net. This almost seems to be the norm among the locals but here comes Detective Morales.... another stranger and the locals are not easily persuaded to help. I will say that the only thing that threw me off from enjoying this story in its fullest was the consistent use of "Let me tell you...", "Christ on a Chalice", and "Heeeeeeeee" dispersed through the dialogue. It was a bit over-saturated and took a small bite out of my overall enjoyment of the novel. This is better than a police procedural with the unique way in which this mystery gets resolved. I think the characters and the background overshadowed the mystery as a whole and I am not sorry about that in the slightest. Follow these other wonderful bloggers on this tour!